Every January, millions of people across the globe make personal resolutions—to do more or less of something, to start or complete something, to improve in some way. 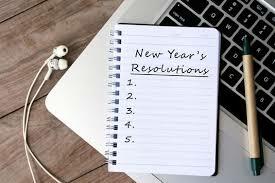 Resolutions for business are no different than personal ones. Now is the time to address crisis planning and preparedness. Last year was monumental for organizations in crisis. ICM saw spikes in certain crisis categories, and numerous crises that have lingered for 3 years or more. Increasing numbers of significant crises were caused by a failure to address bad behavior at the uppermost levels of organizations. Boards are starting to pay more attention to risk and crisis management, and yet the number of organizations with a crisis communication plan remains stubbornly about 50%. Make this your year to move the needle at your organization! Implementing a crisis communication plan need not be a daunting task. ICM can help you learn how. Attend the most sought-after crisis communications course in the U.S. Get the tools and knowledge you need to create or update your crisis communication plan and prepare for tough media interviews with ICM’s intensive hands-on courses. An optional third day of crisis interview training complements the Crisis Communication Management Course. This concentrated session is invaluable for company executives and communications professionals who have to face the news media in crisis situations. Media training includes multiple on-camera interviews in different settings which focus on likely situations participants may encounter.